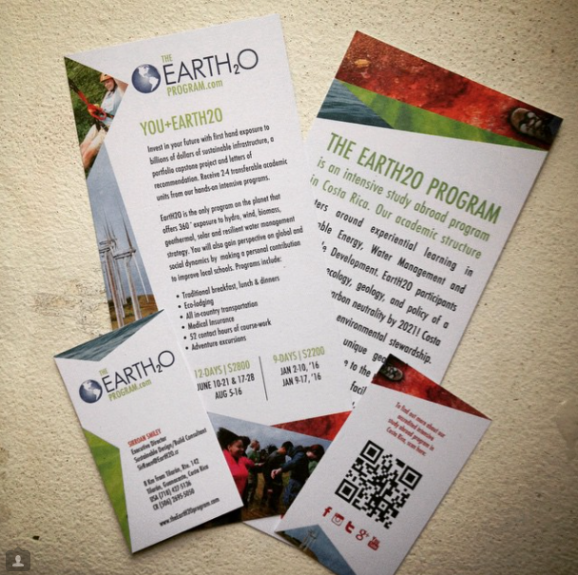 the Earth2O program is a study abroad program in Costa Rica, a world leader in renewable energy and sustainable practices. The program has a hands-on, life-changing curriculum in green practices and business. At the same time exploring the beautiful country and culture of a people who rate amongst the happiest, and most egalitarian, while highly educated, literate, and some of the most long-lived in all of the Americas. 7ONE8 Design provided global brand strategy. We developed student programs, sales strategy, operated sales assets, print, and web content and strategy. Our team was immersed in Costa Rica, (one of the greenest places on earth) prior to and durign the launch of the program. We structured partnerships between course providers, higher education institutions in various states and countries.